James Conrad is an enigma, wrapped in contradictions, wrapped in a ponytail. 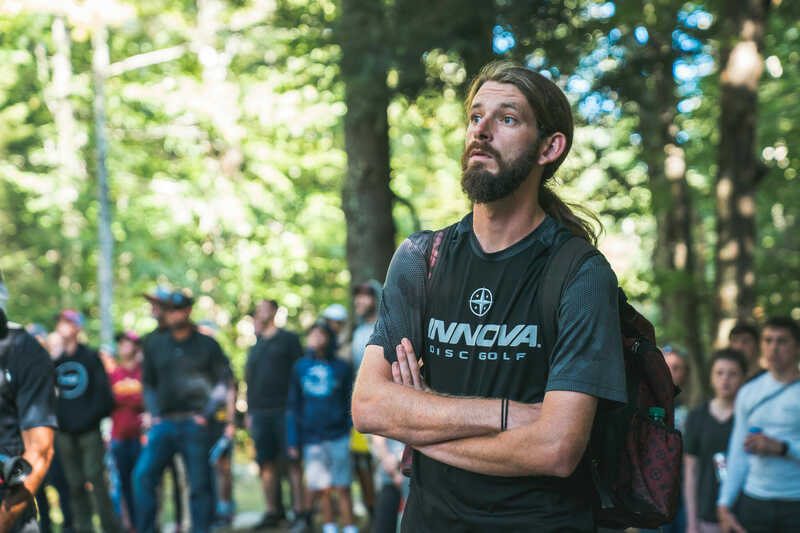 Conrad is one of the more high profile players on tour, having appeared in more than 70 videos from JomezPro and Central Coast Disc Golf, and been a member of Innova’s Star Team since 2018. But he does not have the social media presence of many of his peers. He throws incredibly far, but some of his most memorable shots-for-distance are with a putter. If slow is smooth and smooth is far, Conrad going full tilt off the tee at every opportunity defies logic. 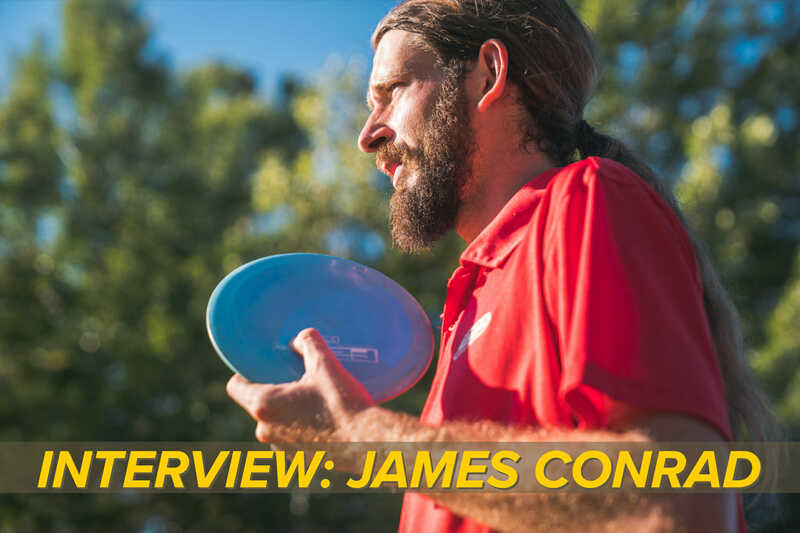 In an age when the sport of disc golf is becoming, more mainstream and business oriented, Conrad proudly proclaims himself a dirty hippie. Conrad’s game is predicated on his ability to carve up fairways with controlled tee shots using slower speed discs. He is an excellent putter from outside 10 meters, and rarely finds himself stuck in the rough. In 2018 he hit 71% of his fairways off the tee, and was within Circle 2 in regulation 66% of the time. The few times he does find himself in trouble, he is more than likely able to salvage the situation — in 2018 he scrambled at a 67% rate. Conrad credits his skill set with time spent playing in the wooded courses of Virginia. “Adapt or die,” the saying goes, and in 2018 Conrad was able to adapt and thrive. He improved his park and open-style course game, and saw his average finish on open courses jump to 12th. To watch Conrad tee off, a new fan could be forgiven for not equating those long flying limbs and swirling ponytail with precision and accuracy. Every player has their idiosyncrasies and trademark shots — think Nate Sexton’s disc flipping, Paul Ulibarri’s step putts, Paige Pierce’s pre-putt routine, Catrina Allen’s rollers, and so on. For Conrad, it’s his run up, which, while certainly fun to watch, isn’t always well suited for some of the courses. “Yeah, it’d be great if we had all super long and flat tee pads, but we’re not there yet.” Conrad lamented. Going into the 2018 Pro World Championship, Conrad was talked about as a serious contender to take home the win. 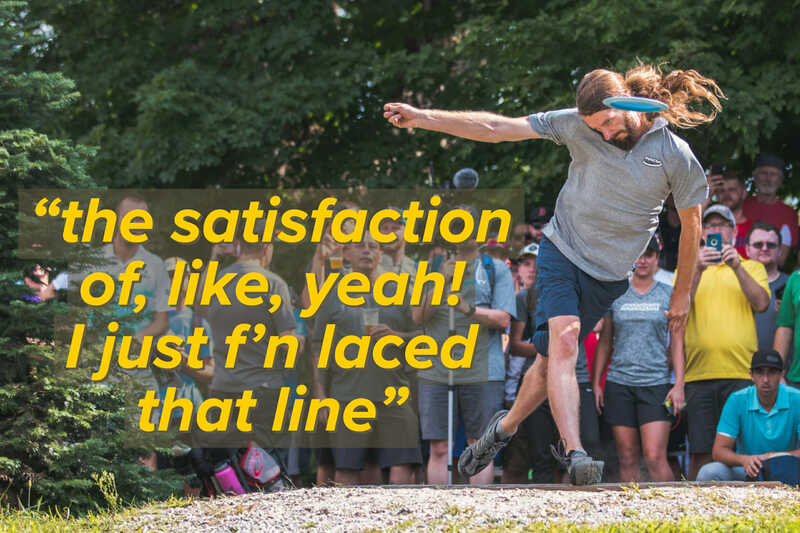 The courses at Smugglers’ Notch seemed tailor-made for Conrad’s game, and he was fresh off a win at the MVP Open, where he held off a hard-charging Paul McBeth during the final round. Ultimately, it wasn’t meant to be. Playing on the lead card in the final round, Conrad putted at 80% from inside Circle 1, 11 percentage points below his 2018 season average of 91%. He carded a double bogey on hole 9, and shot a 1-under par for the round, dropping him from a tie for second to a tie for sixth. What went wrong in Vermont? Despite winning the World Putting Championship and EDGE Skillshot Contest earlier in the week, things weren’t coming together the final day. Worlds aside — let’s be honest, a sixth place finish is nothing to be ashamed of — Conrad had a remarkable 2018 season. He finished in the top 10 in 61% of events he played, finished in the top three in 25% of his events, and was in the top 25 of all the major UDisc Live tracked stats. He is currently ranked number three in the world. There is no question that Conrad’s got game to spare, and when you combine his ultra-calm demeanor, old school backhand dominant game plan, and skill with a putter, it’s easy to think of him as someone who has been on tour forever. The 28-year-old Conrad isn’t a young gun by the calendar, but also hasn’t been on tour as long as, for example, Eagle McMahon, who is eight-ish years his junior. If you think back to the 2017 Waco Annual Charity Open, or better yet, watch the JomezPro coverage, you’ll hear Jeremy Koling tell us on the first hole of the round, “He [Conrad] hasn’t been on tour long enough for people to see how good he is….he’s really good.” That tournament would end in a playoff, with Koling taking the win over Conrad. So how did Conrad go from relative unknown tour “rookie” in 2016, to the number three ranked player in the world in three short years? Because of his subdued social media presence, it’s hard to get a handle of what makes Conrad tick off the course. 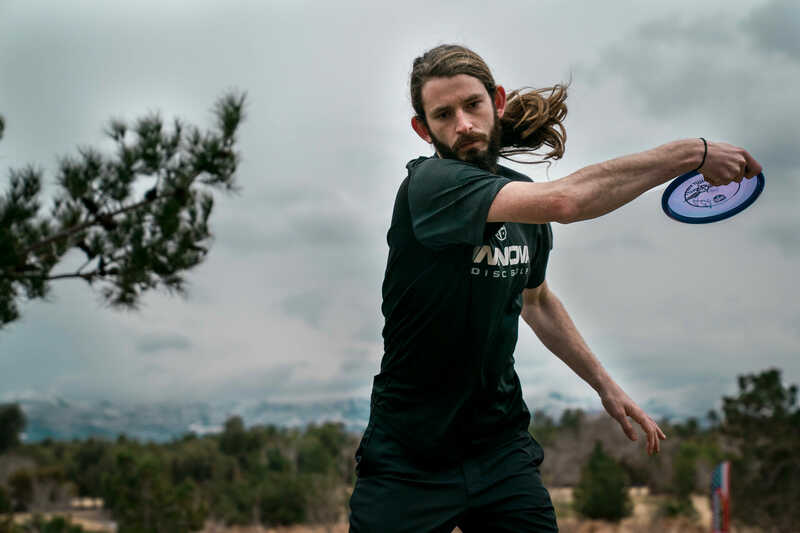 We know, mostly because of Koling’s commentary on Jomez, that Conrad is an avid juggler. If you do happen to catch Conrad on Instagram, it’s usually via his touring cronies’ accounts. 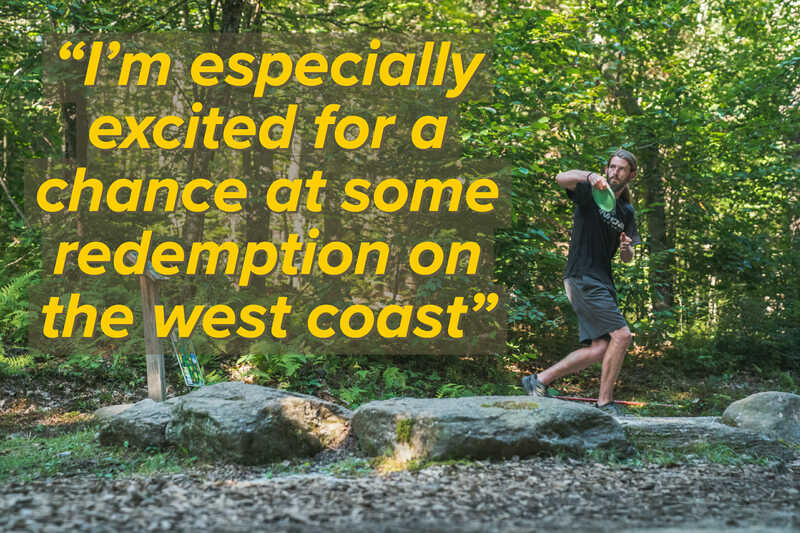 Conrad is currently registered for the tour mainstays through June, and does have his first disc golf trip to Europe on the schedule for the Tyyni and European Open, but says nothing is set in stone, and circumstances may change as the season progresses. “I’m starting to feel pretty good about the season,” Conrad said. “I had a slow start to the year in Vegas and was bummed to not make it off the Memorial waitlist, but this past month in Texas has been great. Warm weather and fun courses have helped motivate me to spend a lot of time working on my game and all the pieces are feeling strong. 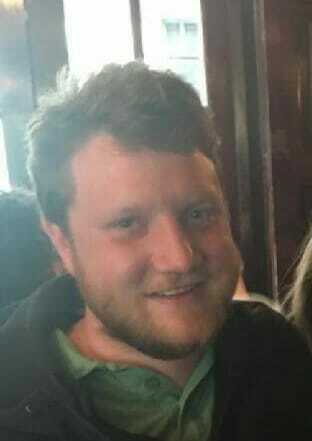 Comments on "James Conrad: Going All-In"